One of the most powerful ways to grow a list for any business person is to give something away. But when you do it, you should have a plan for what comes next. I found this article by Russell Brunson a pretty fascinating look at how he set up a full funnel for giving away his books – and at his follow-through. Interesting to note that he actually gives away physical books, (free + shipping) and has that built into his funnel. Since giving a physical book away is something I’ve taught multiple times in live workshops, I found this particularly relevent. NOTE: Brunson is the owner of ClickFunnels, a popular funnel-creation software-as-a-service. Of course he recommends that service for creating your funnels. 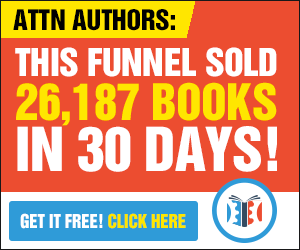 If you don’t already have a page builder, then ClickFunnels is certainly an option, and it comes with a free funnel template just for books. Otherwise, you can replicate what he talks about here with the builder of your choice.